I have to say the Bible. When going through a rough time, I just open it to a random page, and there is always a passage relating to what I am experiencing and what I need to do. The Game of Life was always a favourite. Hopping by on this Friday afternoon. I like playing Bogle, which is sort-of a board game. Hey you, just stopping by on the hop and follow. I like the Aloha Friday meme. Have a great New Year. Happy Reading!!! I love Monopoly, but no one will play with me. I've bought digital versions so I can play by myself, lol. Stopping by from Java's. Have a great weekend. 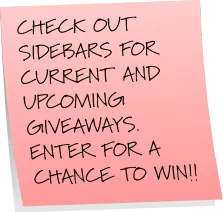 Going to check out your giveaways. The Bible is a great answer. Just hopping thru…have a great weekend! Hopping through. I like Settler's of Catan. When I was young I loved Clue. Dropping by from the Hop! That's easy . . . Candy Land!